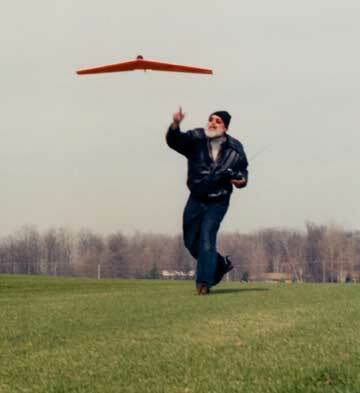 Bob Thayer launching his Zagi. Great action shot! 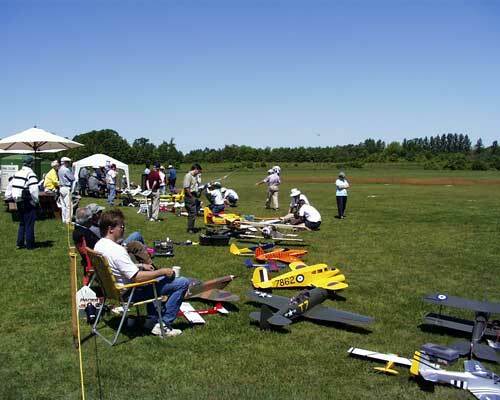 Perfect weather at the 1999 Oakville Electric Fun Fly. 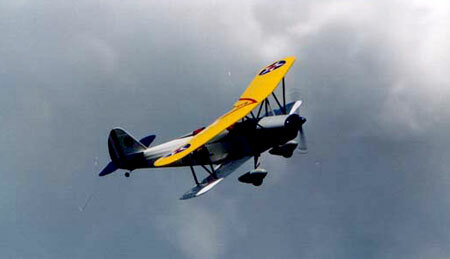 CL-215 waterbomber caught in a high-speed pass at the 1999 EMFSO Port Perry Float Fly. 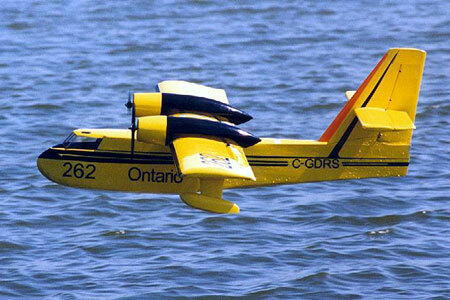 Features: Flaps, Stearing on water with motors. 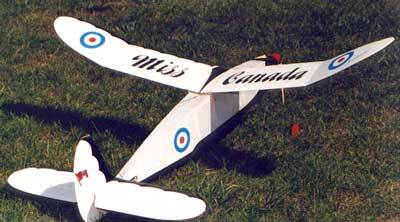 Roy Bourke's Miss Canada at the EMFSO George Ball Memorial Fun Fly. Roy's Miss Canada is a 150% version of the Miss Canada Senior, rubber powered antique aircraft design. The model was originally built for the Spirit of SAM event at the 1998 US SAM Championships. (Rules have been changed recently so it no longer qualifies). 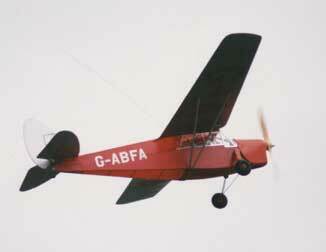 Barry Fletcher's Leopard Moth at the EMFSO George Ball Memorial Fun Fly. Robert Pike's 1/6 scale, Liberty Sport isn't frightned by a little bad weather.